Can you believe Christmas is tomorrow?? How the hell did that happen? 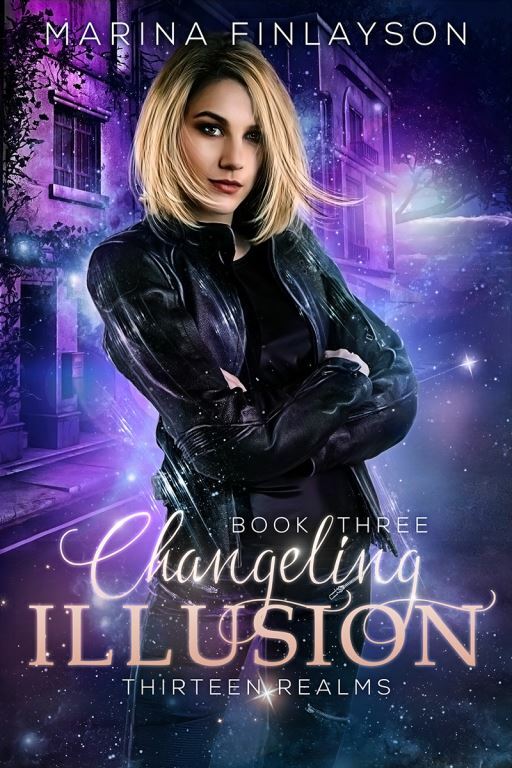 One minute I was cruising along, thinking I still had time to get Changeling Illusion out by the end of the year. Next minute, I blinked, and it practically was the end of the year. Where did December go? Anyway, I’m sorry to say it will be at least January before I can get this book out. I still have a couple of scenes to write, then revision to do, then the book has to go to the editor and formatter. So there’s still a good few weeks of work to go. But at least I can show you the gorgeous cover! I am going to take Christmas Day off, though. I have big plans to lie around, reading one of the books I know Santa is bringing and eating way too much Christmas pudding. And maybe playing a new board game with my kids. Speaking of kids–I have a brilliant tip for you! 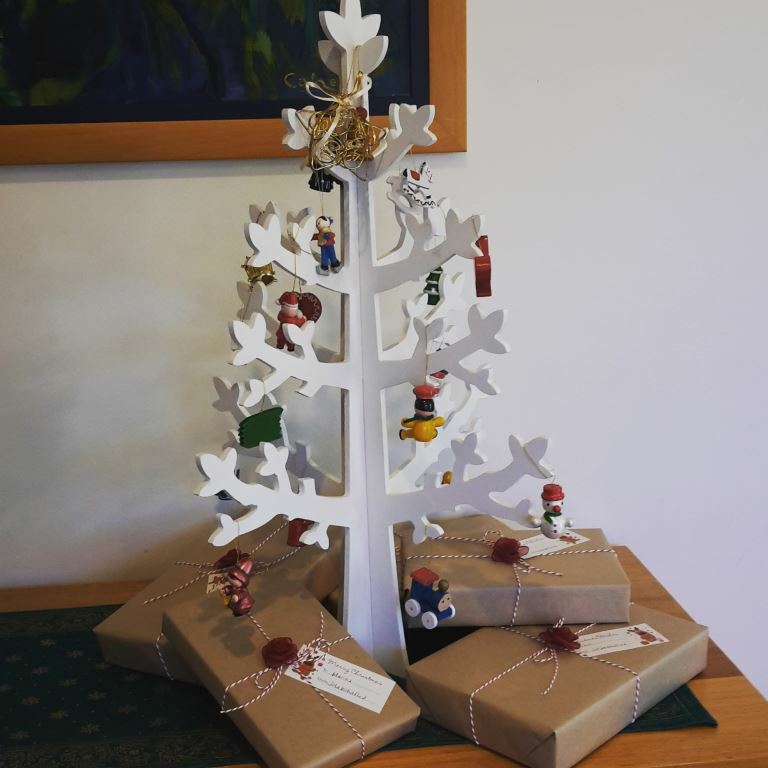 Last year I decided to adopt the Icelandic tradtion of Jolabokaflod, which means “Christmas Book Flood”. Icelandic people exchange gifts of books and chocolate on Christmas Eve, then go to bed and read their new book and eat the chocolate. How perfect is that? Could there be a better tradition?? We all enjoyed it so much that we’re doing it again this year. And the best thing about it? My kids were so tired from sitting up late reading that they slept in, so I got to lie in until nine in the morning on Christmas Day. Evil genius for the win! If you celebrate Christmas and your kids are old enough to read, I thoroughly recommend adopting the tradition at your house too! Do you have any fun Christmas traditions in your family? What are they? Hope you have a safe and happy festive season, however you celebrate. Me? I’m off to bed to eat my chocolate and read my new book! 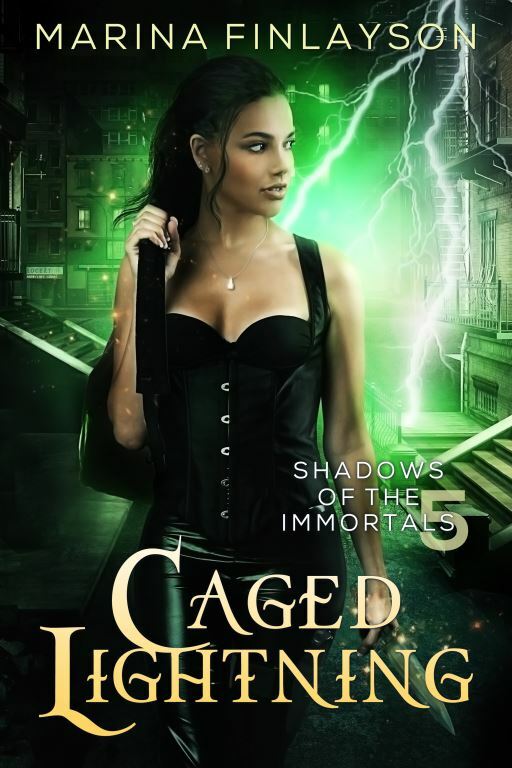 Comments Off on Caged Lightning is out! 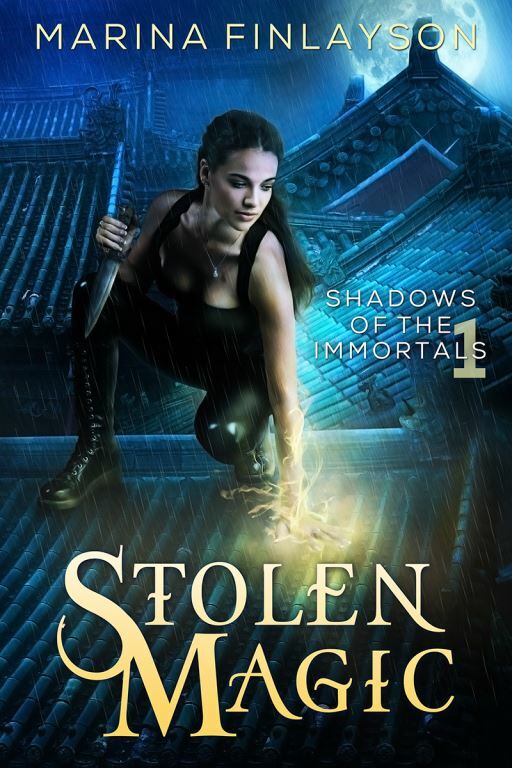 Lexi is back for the final instalment in the Shadows of the Immortals. Magic! Adventure! Gods and monsters! Will Lexi find out who is the mastermind behind the shadow shapers? Will she get her man? Will Zeus get his body back (and will it be wearing undies)? For the answers to these and other exciting questions, grab yourself a copy and see how the saga ends—ebook available on Amazon now! Comments Off on New covers! The Proving series has had a makeover! 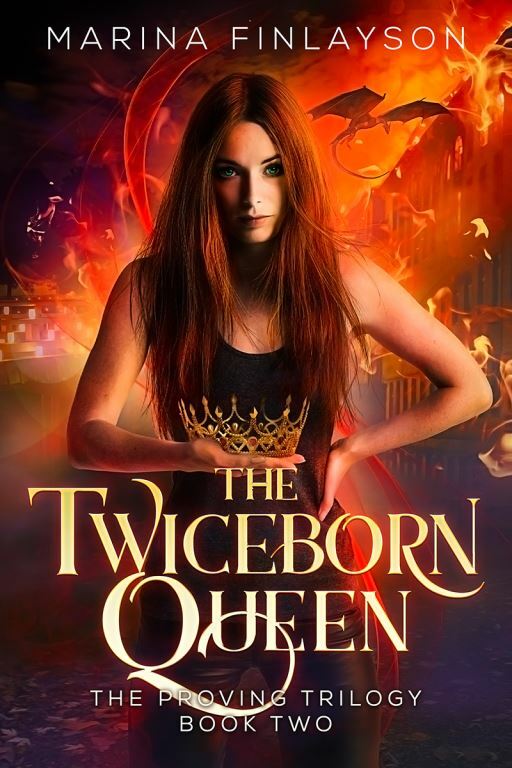 My wonderful cover designer made fantabulous new covers for Twiceborn, The Twiceborn Queen, and Twiceborn Endgame. Aren’t they gorgeous? I’m thrilled—I always wanted Karri to design the covers for this series, but she was booked solid, so I went with someone else. While I was happy with the original covers, these new ones are truly gorgeous, and the model has a gutsy go get ’em look to her that really captures Kate’s spirit. Same fast-paced, dragon-filled adventure inside, but now I think the covers reflect the action and excitement of the books much better, so I am one happy author! 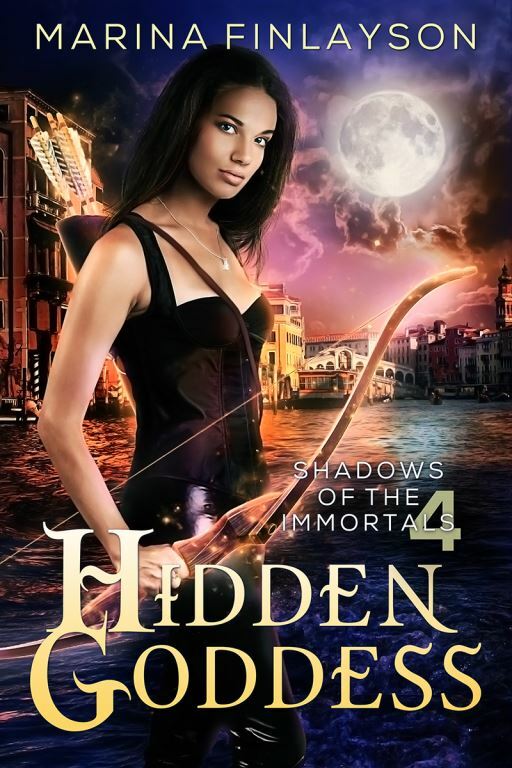 Comments Off on Hidden Goddess is out! Lexi is back in a brand-new adventure. 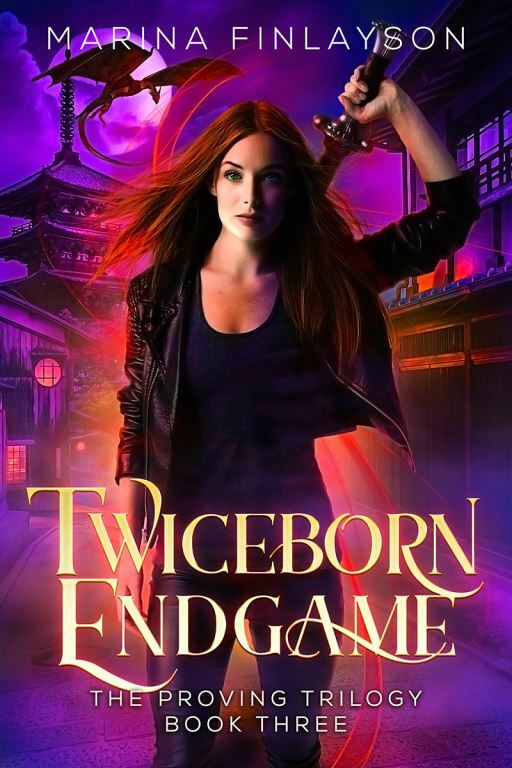 This time she’s trying to save Jake and Hades, but there are a whole bunch of things she doesn’t know that are about to come back and bite her. Yes, dear reader, I am once again torturing this poor woman. What can I say? It’s a writer’s job! So, the kids are finally back at school and I’ve dragged myself kicking and screaming out of holiday mode and started contemplating what the rest of the year might look like, bookwise. I’m hoping to get four books published this year. At first glance, this might seem like slacking off, compared to last year, which saw the publication of five books: Moonborn, The Fairytale Curse, The Cauldron’s Gift, Stolen Magic and Murdered Gods. 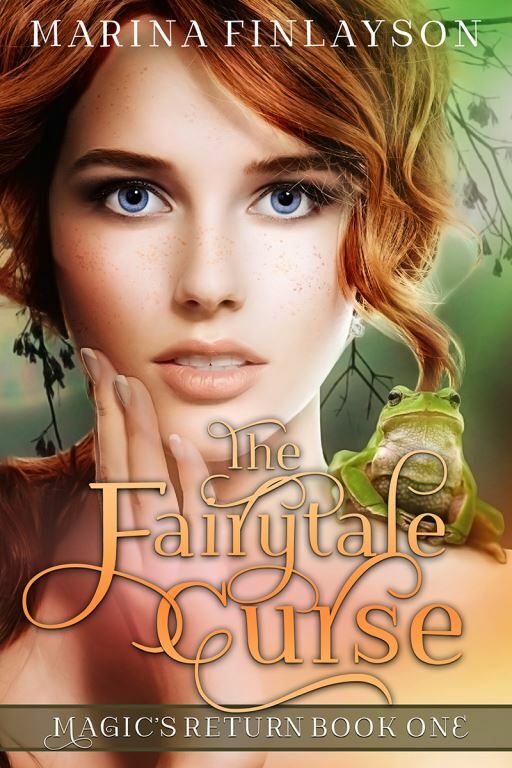 But The Fairytale Curse and The Cauldron’s Gift had already been drafted before I’d even published my first book, and Stolen Magic was drafted in 2015, so I had a great headstart on last year’s publishing schedule. Unfortunately for me, my stockpile of novels is now empty. Everything I publish this year will have to be written this year (apart from the first 20,000 words or so of Rivers of Hell). So four books this year is pretty ambitious! All of that is by way of saying: I have a plan in my head, but I’m realistic enough to know that I have a habit of overestimating how much I can get done in a day, and life with three kids tends to derail my plans with frustrating regularity. So I’m not going to be too specific about release dates. 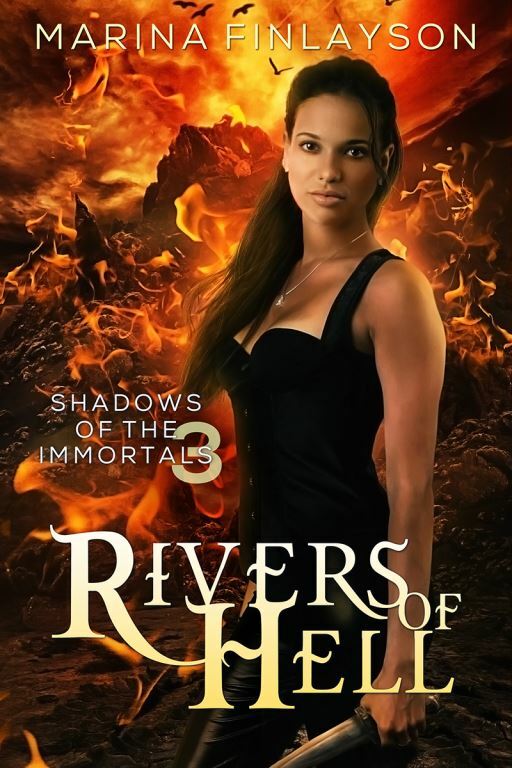 The next book out will be Rivers of Hell, book 3 in the Shadows of the Immortals series. Hopefully that will be out in late March or early April. After that, I’ll be working on books 4 and 5, which should be out later in the year. That will be the end of the series. If I’m lucky, I might also be able to squeeze in the third and final book of the Magic’s Return series, The Fox’s Debt, before the end of the year. In short, I have a busy year of writing ahead! Thank you to everyone who has asked when the next book will be out—it’s lovely to know that you’re out there, eagerly awaiting more books about Lexi and Jake and the gang. I’m having a lot of fun writing them. I promise you I’m doing my best to get those books to you ASAP! I’ll try to keep the Books page of this site updated with news about upcoming books, but the best way to make sure you’re up to date with all the news is to subscribe to my mailing list. I send a newsletter about once a month, and subscribers are the first to hear the latest book news. 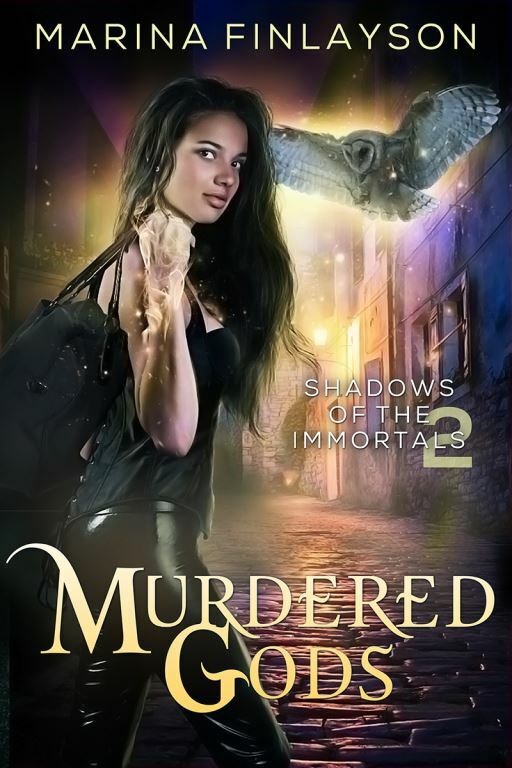 Look what’s about to be released—Murdered Gods, Book 2 in my Shadows of the Immortals series! It’s not every day you have a beer with the Lord of the Underworld. I’d shared drinks with him before, but that was when I thought he was a vampire named Alberto Alinari. Today he’d revealed, in spectacular fashion, that underneath the undead exterior he was actually Hades, king of the dead. I was surprisingly unfazed by this discovery. What can I say? It had been a rough couple of days. Stealing magic rings out from under the nose of the most powerful fireshaper in the land, statues coming to life, betrayals and counter-betrayals … yeah, it had been a busy week. And we weren’t done yet. The beer was cold, and most welcome after the oh-my-God-I’m-about-to-die stress of the fight outside. The wet glass left damp rings on the shining wood of the bar. It wasn’t like Alberto—excuse me, Lord Hades—to forget the coaster, but I guess it had been a stressful morning for him, too, what with saving us from imminent death, just in the nick of time. Alberto always had been one for the big, showy gesture. “You going to drink that, or just push it around in circles?” the Lord of the Underworld asked in a rather testy tone. He was most particular about the pristine surface of his bar, which he usually kept polished to a shine you could see your face in. He raised one perfectly arched eyebrow. I’d always thought he looked like the stereotype of a vampire—dark hair swept back from a pale, high forehead, with a certain air of elegance in his clothes and manner. Now I wondered if he really looked like that at all. So remember when I said I was working on Book 3 of the Magic’s Return series, and it would be out before the end of the year? Yeah, not so much. 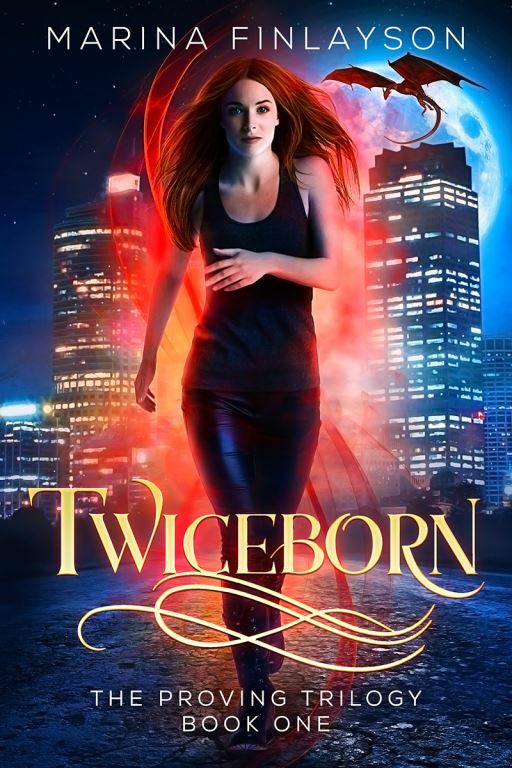 I’ve decided to leave that series for a little while and start a new urban fantasy series for adults instead. I love my YA series, and I will definitely write more of it, but I had this awesome idea involving shapeshifters, elemental magic and a girl who could control animals. I threw in some Greek gods and set it all in an alternate version of our world, and had so much fun writing it that I couldn’t wait to share it with you! 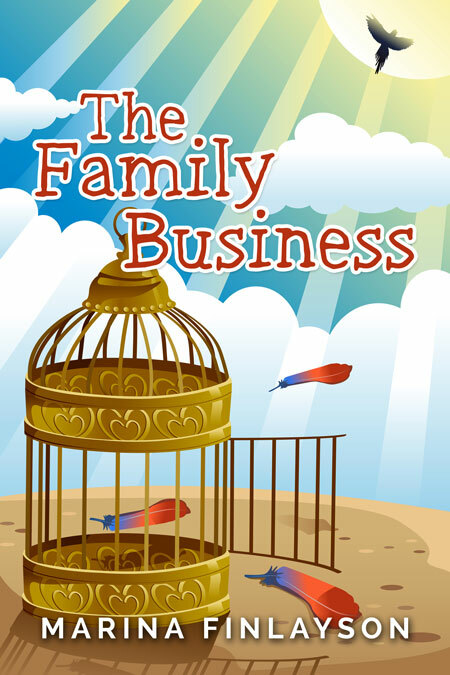 Once again my cover designer at artbykarri.com has done a magnificent job. Isn’t it beautiful? “Lexi Jardine may be a thief, but she’s not stupid. When a crooked fireshaper wants her to steal a ring from the boss of his order, she knows it’s a one-way ticket to sleeping with the fishes. Her answer is to drop off the face of the earth. Safely hidden in a quiet seaside town, she just needs to keep her head down and pretend to be a regular human. Since her only magical ability is the power to control animals, that should be easy, right? Is it still called a “sale” when everything’s free? Comments Off on Is it still called a “sale” when everything’s free? 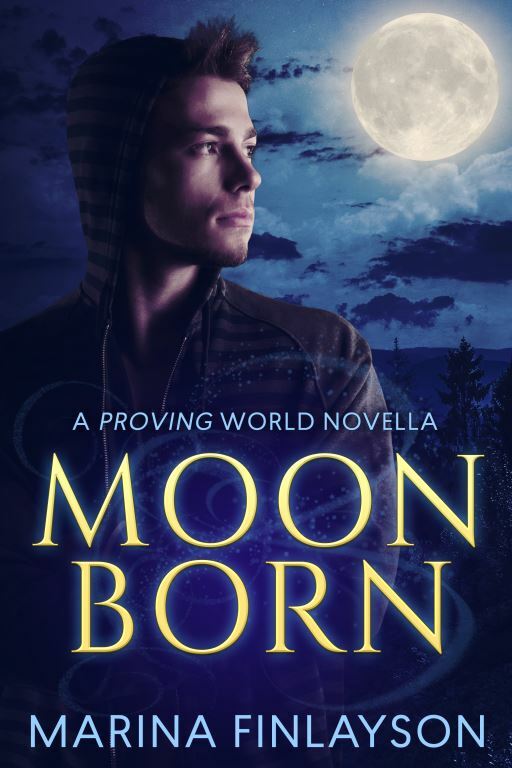 Moonborn is part of a giant science fiction and fantasy sale running this weekend. 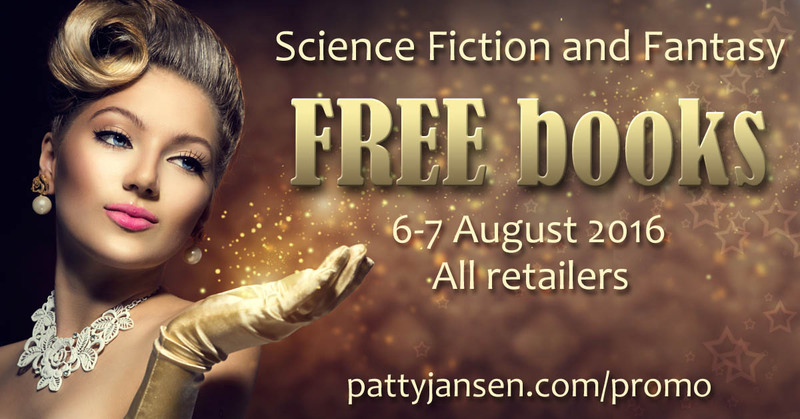 There are over 120 books taking part, and all of them are completely free. You can’t ask for a better deal than that! Why not go crazy and load up your kindle? Find the details of all the books included here. 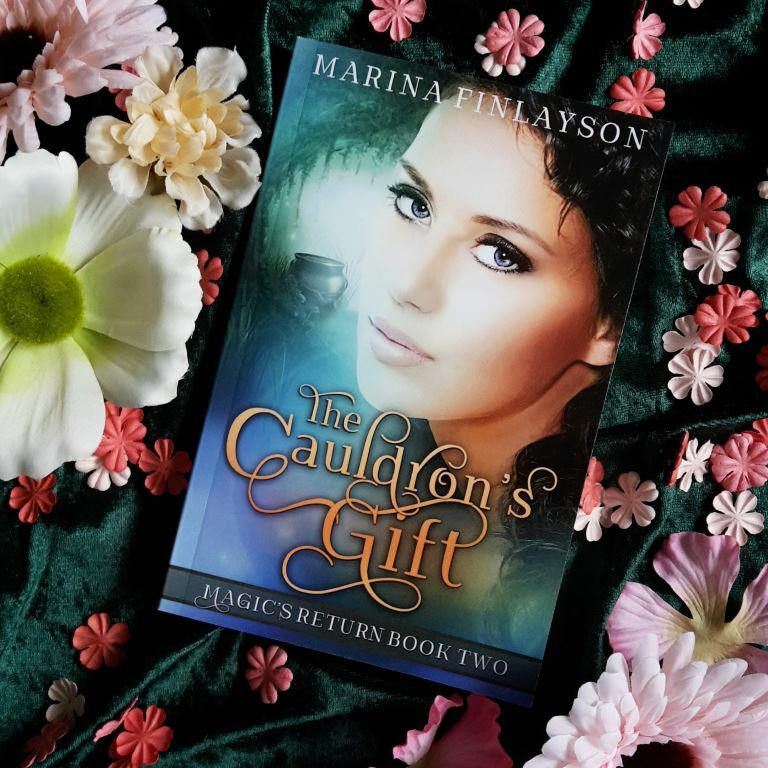 The Cauldron’s Gift is out! Comments Off on The Cauldron’s Gift is out! 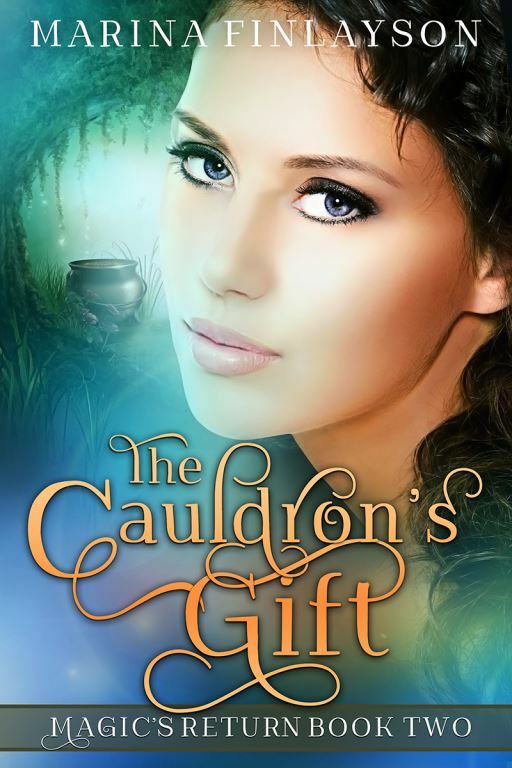 The Cauldron’s Gift is out in ebook. Only 99 cents for a limited time, to celebrate the book’s launch, so grab your copy before the price goes up. The paperback should be out any day now. That’s my first paperback proof there, looking so pretty! I love the covers for this series. They’re so dreamy, and they look stunning in real life. My cover designer is working on the cover for Book 3 at the moment, and it will be just as gorgeous. I’m also working on Book 3, though I have a long way to go yet. I’ve only just started the first draft, so there will be more of a gap between the release of Book 2 and Book 3. All I can promise is that it will be out later this year. In the meantime, enjoy The Cauldron’s Gift!